Wow! I cant believe I found this memorable pictures of mine here in my web page. 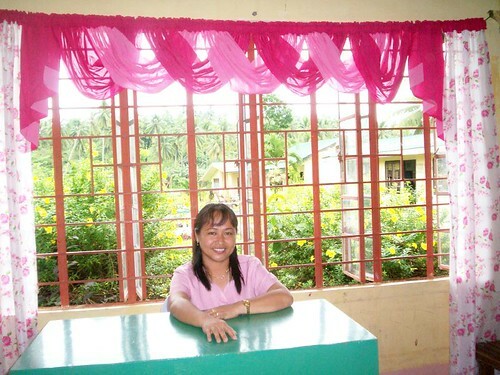 Well, 10 years ago I was a teacher back home in my beloved country Philippines. Ina very cute village name Rizal I got an item there as an elementary school teacher handling grade six students. It was happened when Mr Celestial passed away then I take over his new classroom. I experienced a lot of happy moments of that classroom. Most of my students were good and loyal to me. They are my best friends outside the classroom but I am their teacher inside. When I talked in front they were so quiet and very attentive. Only few not cooperating but most of them were good and excellent during my time. Then, it was year 2007 when I left. It so sad but that's life. But, before I disappear I paint all the corners of my classroom in pink color inside and outside. 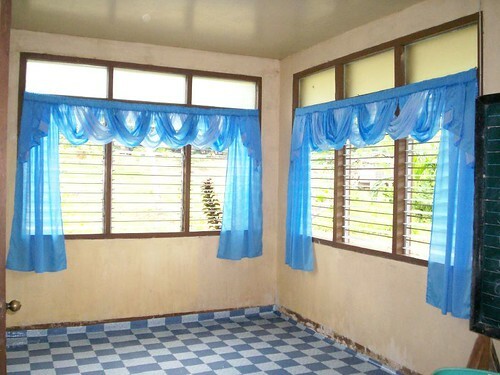 Then I sew a curtains color pink also for my classroom and color blue for our Home Economics building. I gave and endorsed my classroom to my co- teacher name Elsie Moning. Thanks Els for taking care of my classroom. I wanna see it when I visit there. Even though its not my classroom anymore but still its a part of my life. I love that room so much. Hope you understand hehehe. I can't rewind the fast but I can still remember those happy moments that I shared with my students there before. Now they are all growing up, some of them successful, some got married and some followed my footstep and that's they work abroad too. I am very much happy seeing them growing up and improve their own life. 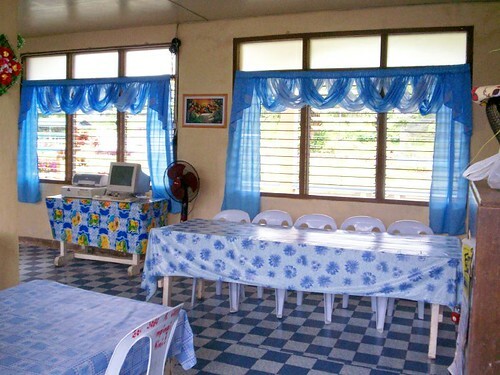 This blue curtains I sew for Home Economics building where all the teachers gathered together, have our meeting and eat together. I can still remember that Gina and Sherly were the good cook then Norming came to our school that I knew shes a good cook also in this HE building. Gimma was good in cooking maja blanca and Elsie was the best friend of maam Celestial hehehe our head. They were all my best friend but the very close to me was Sherly and then Gimma and Gina were the best too. As of now there are many teachers became a part of Rizal Memorial Elem School and I am so excited to meet you guys.